The Bluboo S3 has been available since back in April and it is still turning heads. Maybe it’s the $169 price tag, or maybe it’s the gigantic 8,500mAh battery. Our money is on the fact that the 8,500mAh battery is making people scramble. With a battery of that size, you would think the Bluboo S3 would last forever. 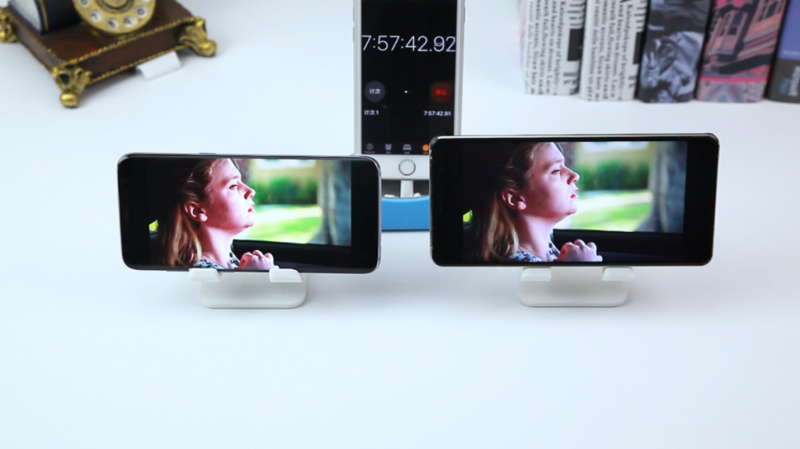 Well, to put that to the test, Bluboo has published a new video showing off the S3. 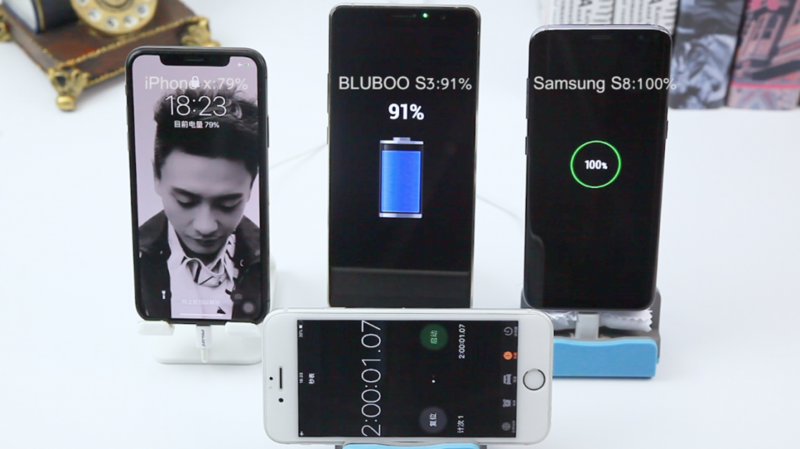 This time around, the company shows off a battery test between the S3, iPhone X, and Galaxy S8. For comparison, the Bluboo S3 features an 8,500mAh battery. Meanwhile, the iPhone X comes in at 2,800mAh and the Galaxy S8 comes in at 3,000mAh. The first portion of the test shows just how long it takes to charge these devices. With the included 12V/2A charger, the S3 charges to 91% in just two hours. Both the iPhone X and Galaxy S8 are using the standard 5V/2A charger. The Galaxy S8 is charged to 100%, while the iPhone X is charged up to just 79% in the same two hour period. The second portion of the test reveals how long the S3 lasts compared to the Galaxy S8. Using high-resolution video, the BluBoo S3 lasts for a whopping 19 hours after starting with 91% of a charge. Meanwhile, the Galaxy S8 lasts for just 10 hours and 45 minutes. This is quite impressive, considering that the S3 lasts for twice as long compared to Samsung’s 2017 flagship. Are you as intrigued as we are? Well, you should be with the Bluboo S3’s massive battery. But the company isn’t stopping there. For a limited time, you can hit the button below and pick up the S3 for $169.99. This is a savings of $30, and will only last for a limited time. Let us know what you think about the Bluboo S3 and if you are considering picking one up for yourself.